It can prove difficult to find a specialized site that sells agricultural tyres at affordable prices. 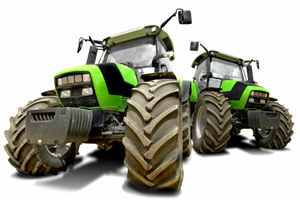 Very specific, these tyres require precise knowledge and skills guaranteeing your choice will be adapted to your industrial or agricultural vehicle. In order to meet customers' expectations, TyreLeader offers more than 100 brands (Continental, Barum for the most prestigious) of agricultural tyres available at discount prices. Tractors, motor graders, combine harvesters, excavators, for each type of agricultural and industrial machine, there is an adapted cheap tyre.